Posted by Pamela Eve on August 4, 2015. On 8th June 2015, the paper counterpart to the photocard driving licence was abolished, instead you are now required to generate a driving licence summary. Your driving licence summary will now replace the paper counterpart which will no longer be issued by the DVLA. Instead motoring offences are now recorded in electronic format, in a new on-line database. You can share your details by creating a unique ‘check code’ that enables you to print or save your driving licence summary. Plan Insurance Brokers need your licence information print out in order to be able to fully process your insurance policy. 4. Click on the ‘Create a code’ button. 5. You will now be shown a check code which is case sensitive. Pass this check code onto whoever needs it to view your driving licence. You will also need to provide them with the last 8 characters of your driving licence number. The check code is valid for 21 days and can only be used once. You can then email or post this document to relevant parties . If you need to send it to customer services at Plan via email you can find the address for the appropriate team on our contact us page. 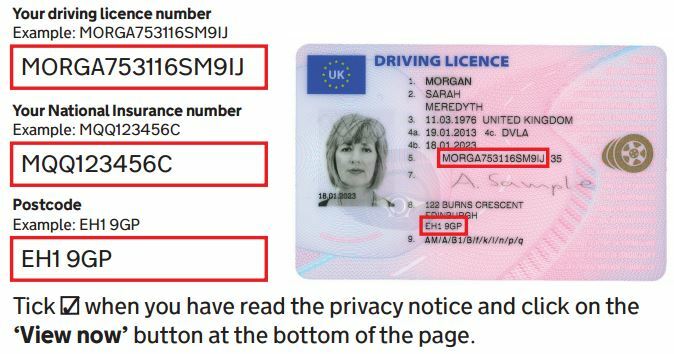 We hope this information has proved useful and you have been able to generate a unique driving license check code. If any clients of Plan are still struggling please don’t hesitate to get in touch. For more information, you can also visit www.gov.uk/dvla/nomorecounterparth.